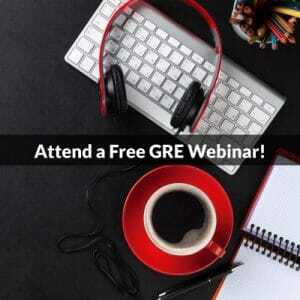 Nearly 1,000 official GRE practice problems are available for the revised exam. About 200 of these come with an interesting statistic attached: the percentage of test takers who got the problem right when it was on a real exam. Presumably, the lowest percentage would mark the hardest official practice problem. Two problems are tied for this distinction. In The Official Guide to the GRE, Practice Test 1 includes two questions that only 10% of examinees answered correctly. A whopping 9 out of 10 test takers got these questions wrong. No other official practice problems were missed as often these two. One of the two is a single-blank, single-sentence Text Completion question. (See The Official Guide, Test 1, §3, 15.) The word that belongs in the blank is sartorial, an adjective that means “related to tailoring or clothing style.” But knowing the definition of “sartorial” isn’t required to answer this tough question. By analyzing the sentence, you can rule out the other less challenging answer choices. The context shows that the correct answer is compatible with the phrase “worthy of attention,” so you can nix irrelevant and frivolous, each of which imply something is NOT worthy of attention. The other problem that only 10% of test takers got right is a multiple-choice question about coordinate geometry. (See The Official Guide, Test 1, §6, 11.) This problem has you figure out what information would suffice to show that the slope of a given line is negative. Below I’ve constructed a very similar problem in which the proposed slope is positive. In the xy-plane, line k is a line that does not pass through the origin. Which of the following statements individually provide(s) sufficient additional information to determine whether the slope of line k is positive? The x-intercept of line k is the negative reciprocal of the y-intercept of line k.
The product of the x-intercept and the y-intercept of line k is negative. Line k passes through the points (a, b) and (r, s), where (a − r)(b − s) > 0. For each answer choice, ask yourself “Does this statement guarantee that line k has a positive slope?” If your reply is “Yes, the slope of line k must be positive if this statement is true” then select that answer choice. Consider A and B. Both statements refer to a negative value. Both also refer to the x- and y-intercept of line k. So draw a figure to see how the slope of a line relates to the signs of its intercepts. (Ignore vertical and horizontal lines, since neither will intersect both axes.) Slap the xy-plane on some scratch paper and zip out four lines that avoid the origin. Draw two with positive slope—one crossing the top-left quadrant, the other the bottom-right. Then draw two with negative slope—one crossing the top-right quadrant, the other the bottom-left. For the lines with positive slope, the x- and y-intercepts must have opposite signs. For the lines with negative slope, the intercepts must have matching signs. If one intercept is the negative reciprocal of the other, then one must be negative and the other positive. The same is true if the product of the intercepts is negative. So If A or B is true, then the slope of line k must be positive. What about C? This statement gives two points on line k and says that if you multiply the difference in their y-coordinates by the difference in their x-coordinates, you get a positive value. But wait. If you divide those differences, you get the slope of line k.
If (a − r)(b − s) > 0, then either both differences are positive or both are negative. And if (a − r) and (b − s) yield differences with matching signs, then (b − s) ÷ (a − r) > 0, meaning the slope of line k must be positive. So the correct answer is A, B, and C.
Now, imagine what A, B, and C would say if each individually proved that the slope of line k is negative. To see the three statements ETS uses, check out the official problem in The Official Guide, Test 1, §6, 11. And, of course, try to solve it. You’ll find that the basic steps used above—namely, diagramming lines to test A and B, applying the slope formula to test C—will get you the answer for the hardest official GRE Quant problem. Want analysis of more hard problems? 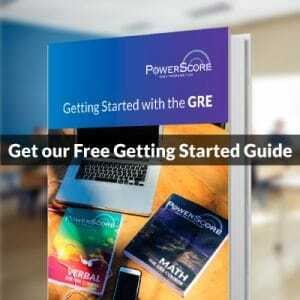 Here’s a post that covers two official Verbal questions that well over half of all test takers got wrong: Doing GRE Reading Comp Exercises to Prepare for the Argument Essay. Photo: “Burr Puzzles” by Meronim – Own work. Licensed under CC BY-SA 3.0 via Commons.